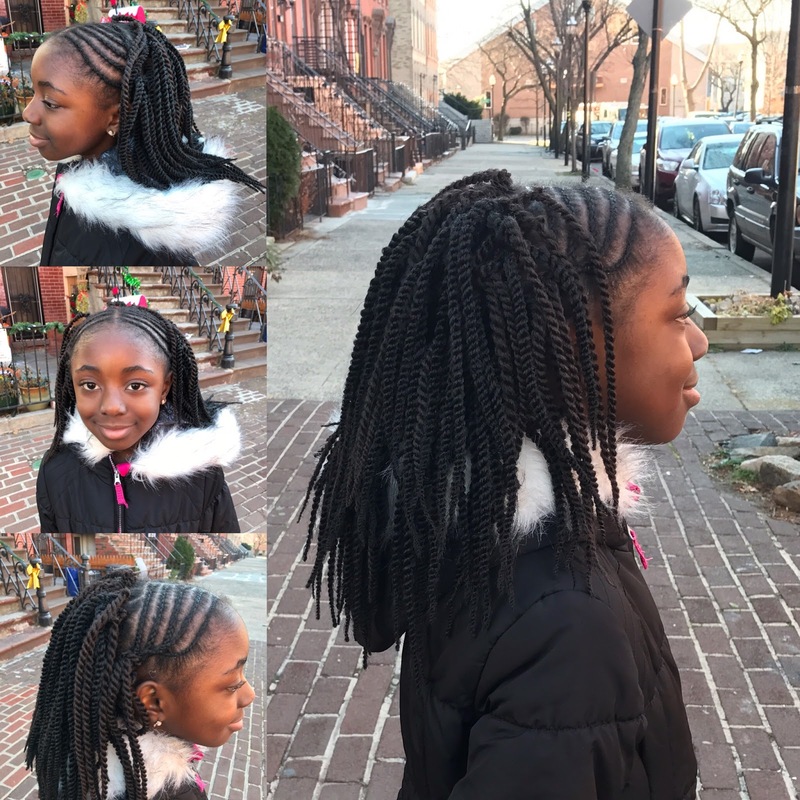 I recently discovered crochet Senegalese twists. They are perfect for kids. They are only ten inches long. They are by Mochi. 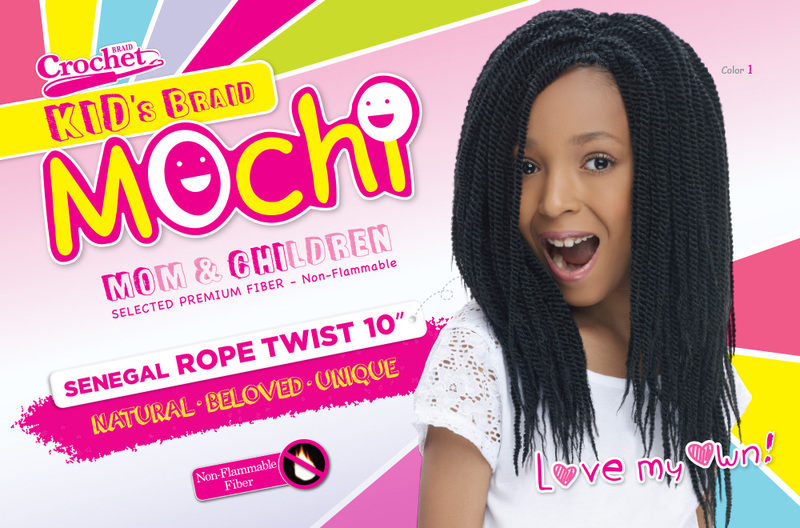 Freetress also makes these twists in ten inches, however, Mochi twists look more natural than Freetress. I wanted to give her hair a break( more like myself needed a break). because her hair was thinner than in the front. I am still not comfortable having her hair fully crocheted. However, this works. It only took one hour to install(the crochet part). I cornrow slowly to avoid hair snagging. That part took me about two hours to complete. This is a one month style for us. 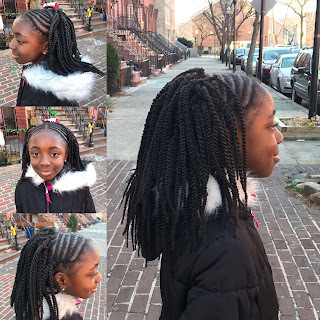 I used the LOC method to moisturize her hair before braiding it. I sprayed my DIY Leave in on the crochet part, about twice a week and coconut oil is rubbed on the cornrow part. I slick down her edges with aloe vera gel that I extract from the plant myself.